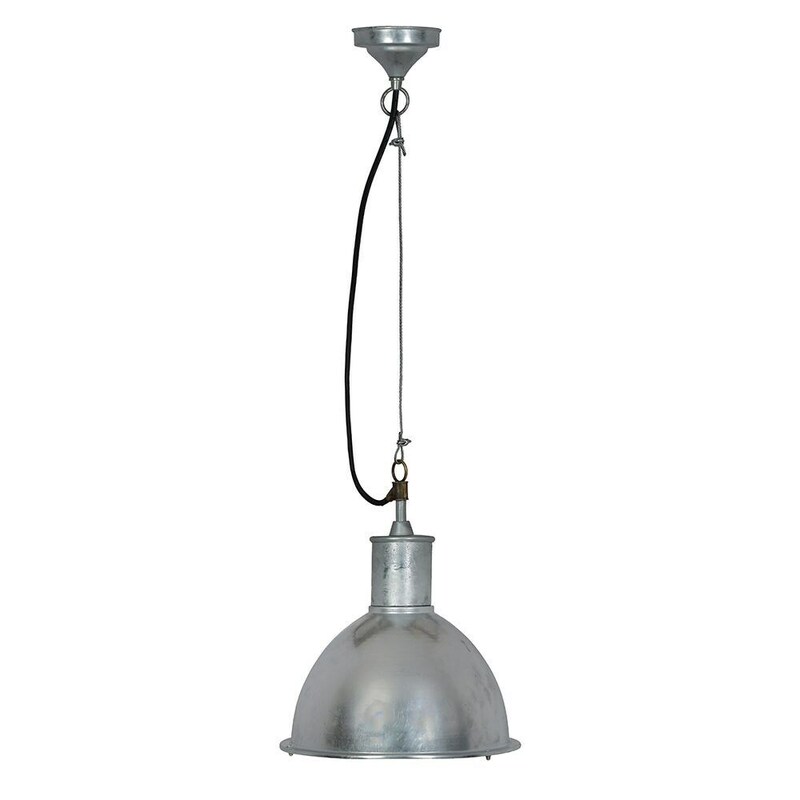 Industrial-style domed metal St Ives pendant light. Ideal for hanging from higher ceilings or structures and suitable for home or garden use. The spun steel shade has been hot dipped in molten zinc, resulting in a protective galvanised finish that is weatherproof in all conditions. A built-in diffuser produces a soft dispersed glow to create a cosy, relaxing ambience. The 2.5 metre long cable lets you adjust the light to any height and attaches via a traditional raw cast brass connector. Requires one E27 bulb (not supplied).